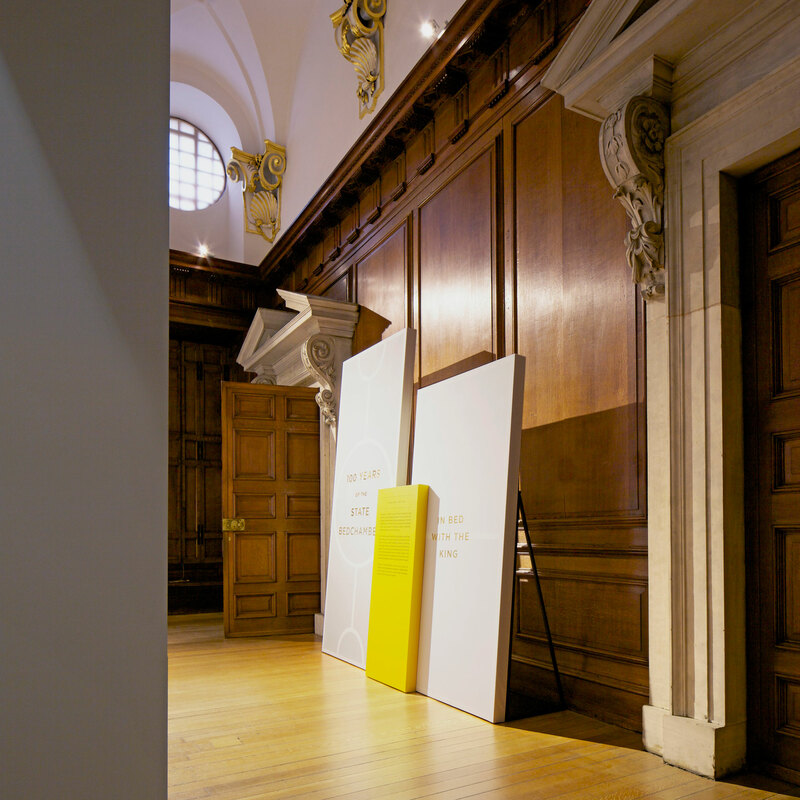 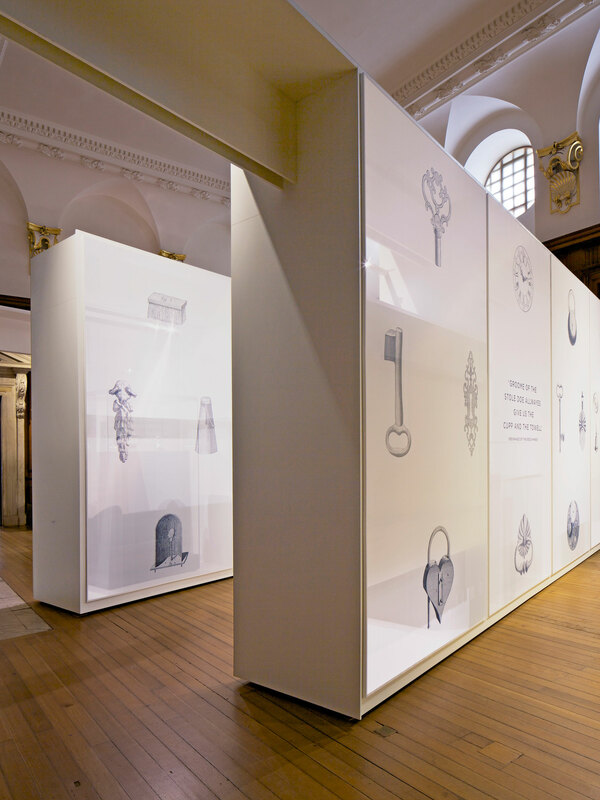 Universal Design Studio were approached by Historic Royal Palaces to transform Hampton Court’s Baroque Palace into a unique and dramatic exhibition presenting the world’s largest and rarest collection of early state beds. 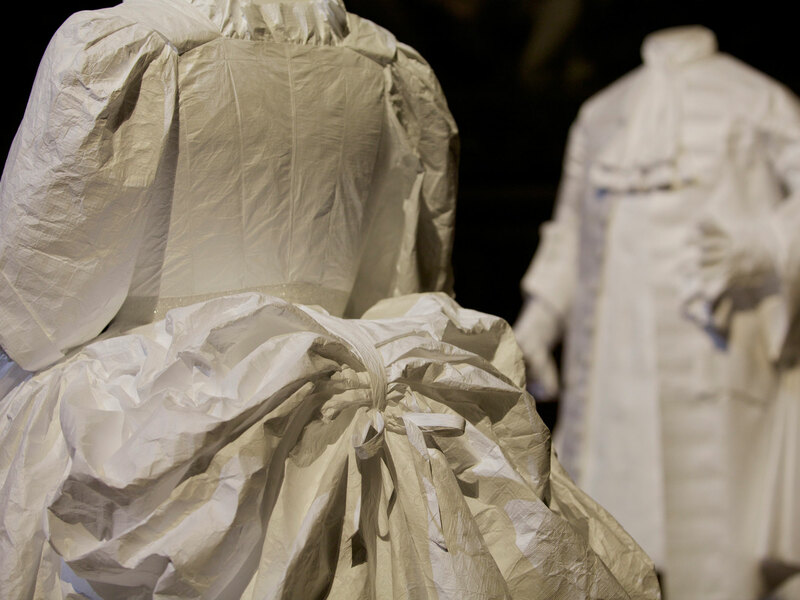 The intention was to tell the story of how and why the bedchamber became the most public and important destination in the Palace. 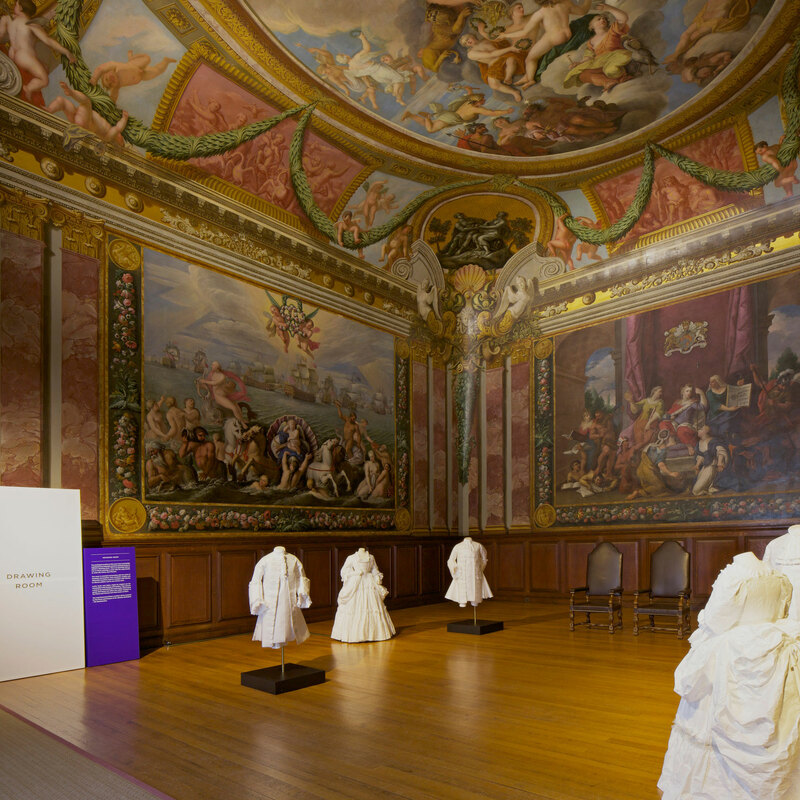 The exhibition design is based on a contemporary interpretation of the distinct Baroque style of the Palace. 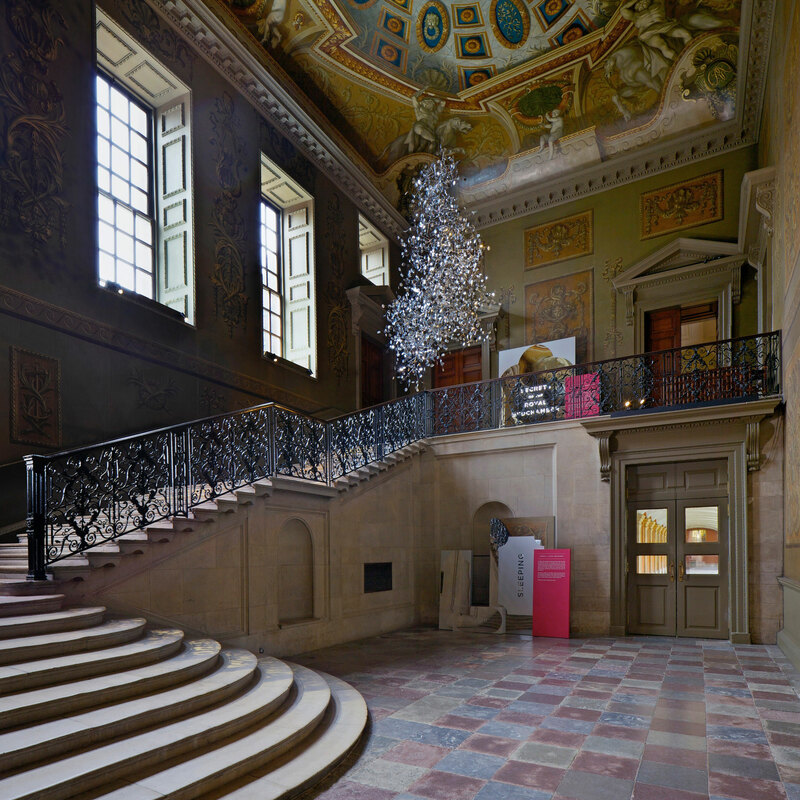 The concept reinterprets the aesthetic values of the Baroque period – grandeur, drama, and embellishment – in a current fashion, producing modern installations that reference the historic architecture that they are set in. 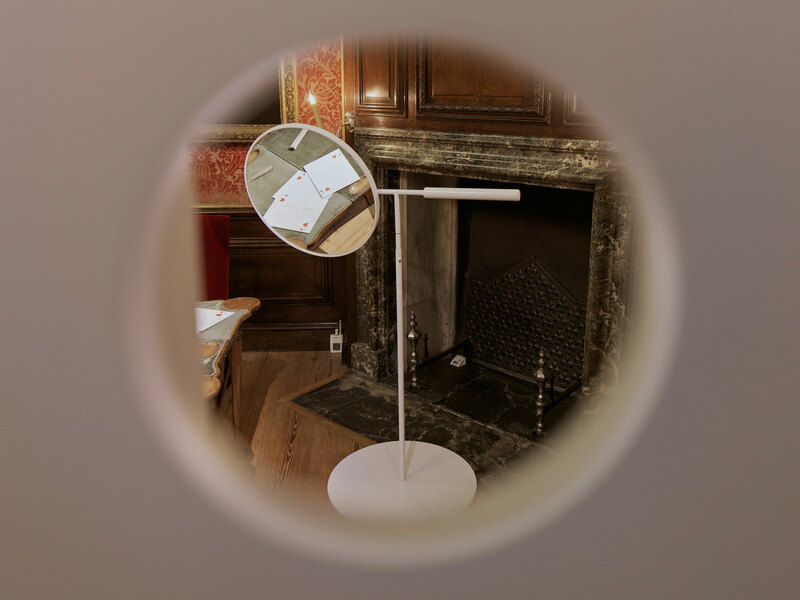 With a strong understanding of storytelling, the narratives of each bedchamber were deconstructed through a sequence of rooms and installations, and provided an engaging experience for visitors to discover and reassemble the facts for themselves. 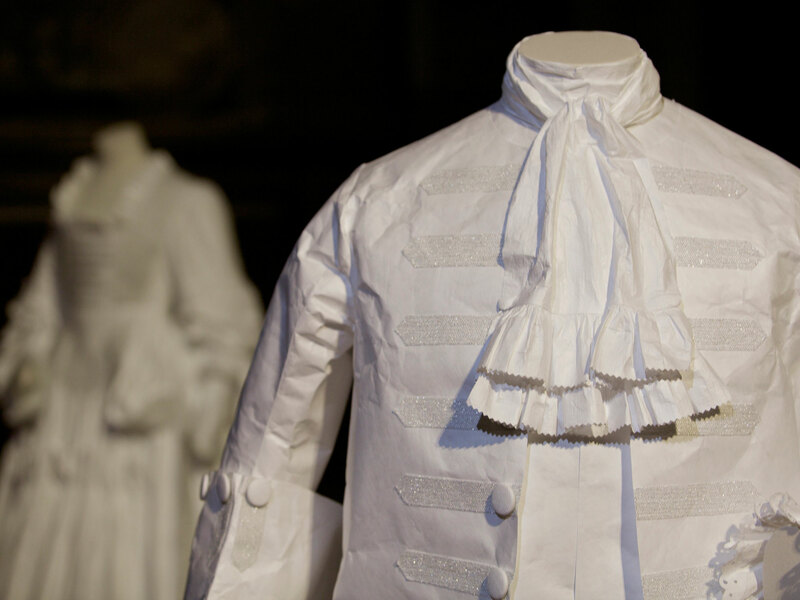 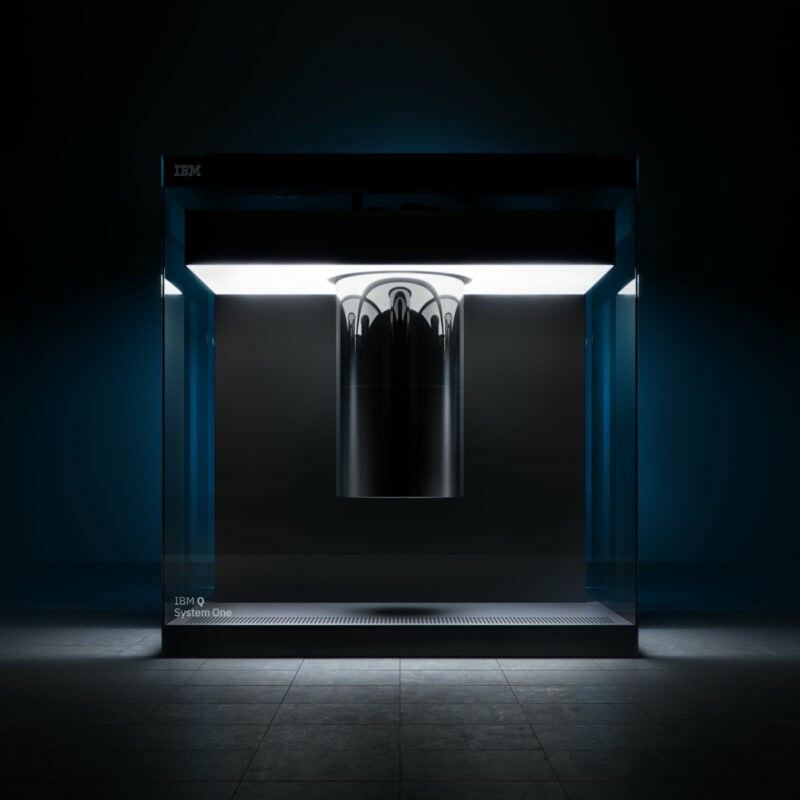 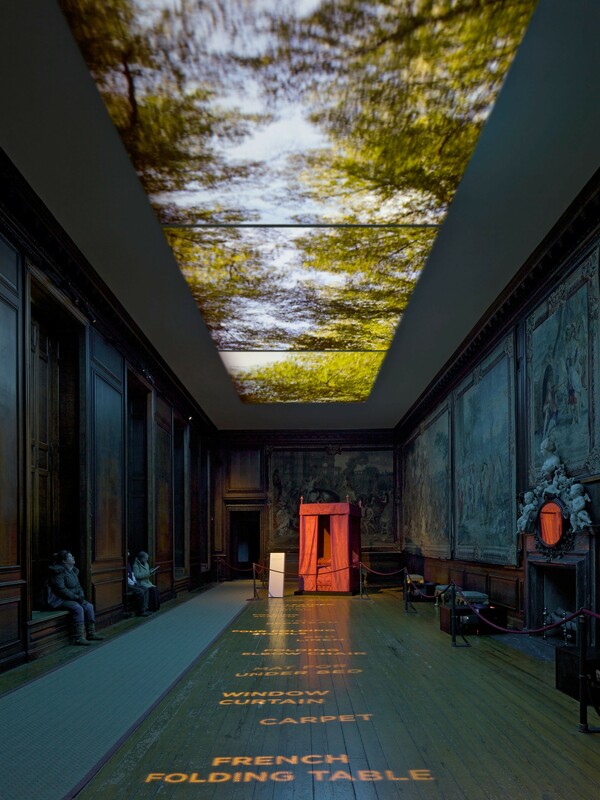 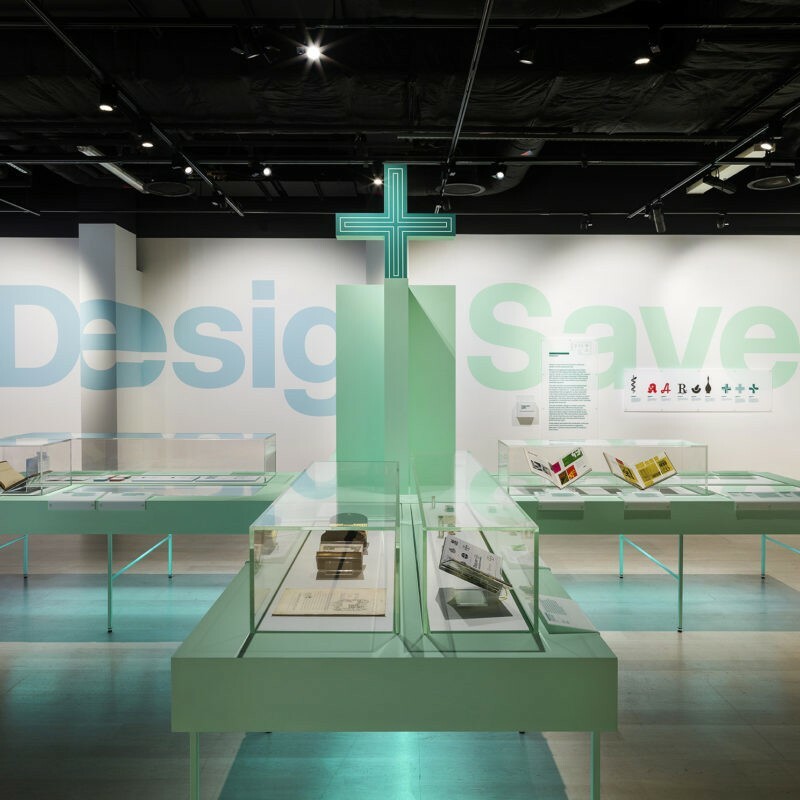 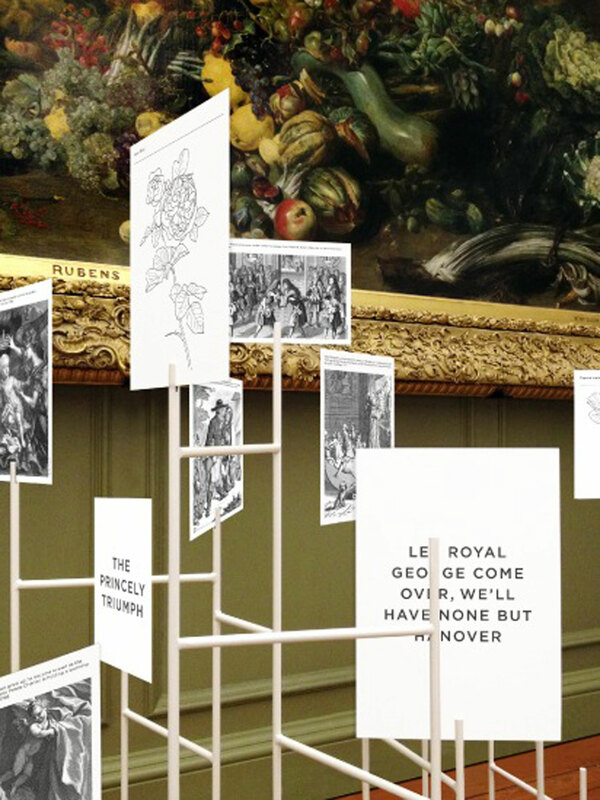 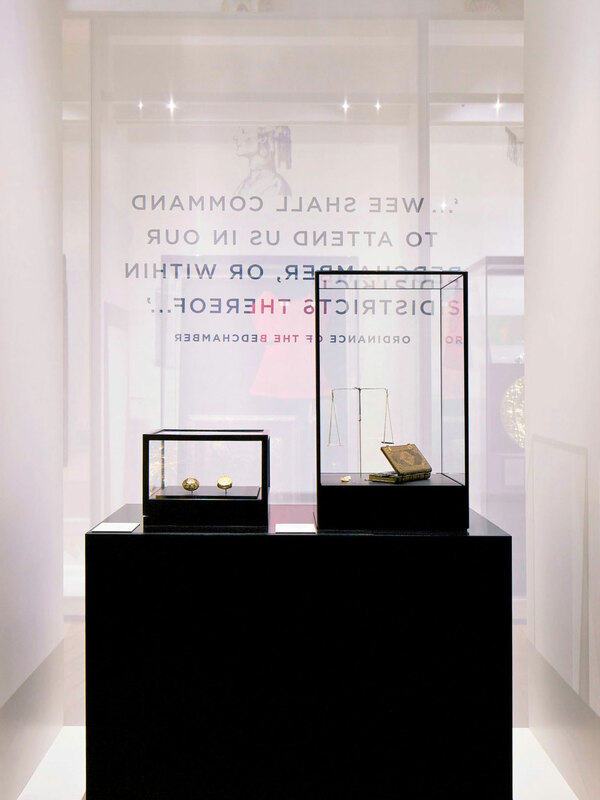 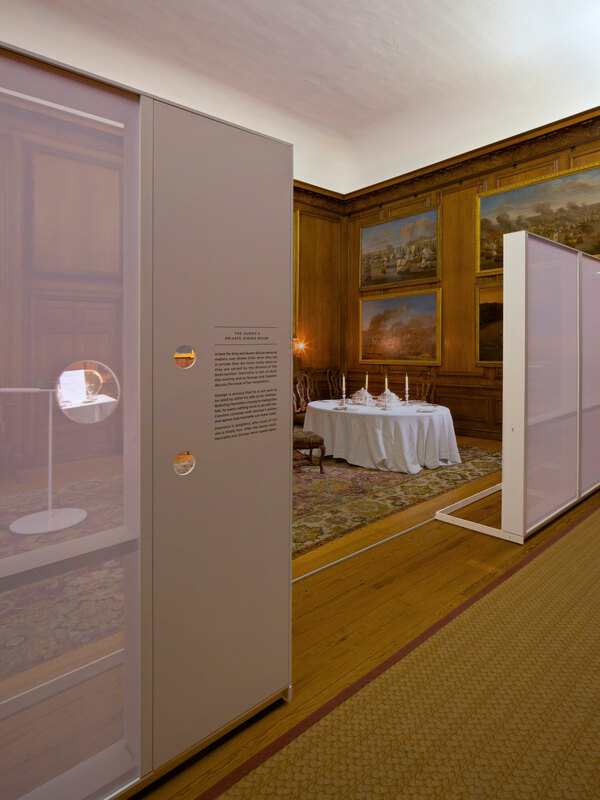 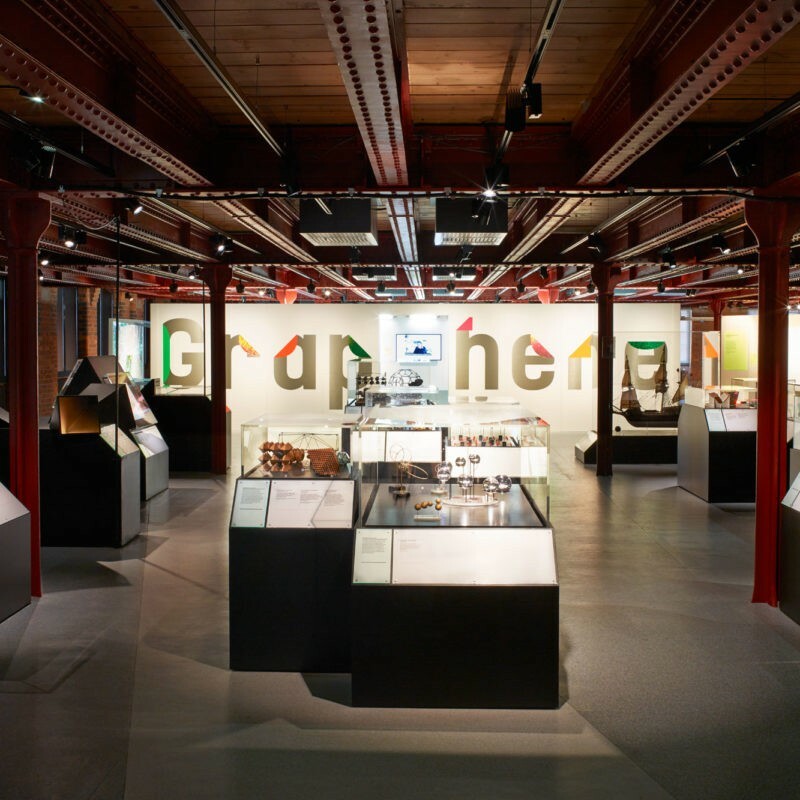 Unique displays provide an unusual platform for visitors to view historical objects, whilst installations invite visitors to become part of the exhibition, offering the opportunity to interact, play and immerse themselves in the Baroque period.